guide Archives - LeagueFighters.com - League of Legends fan blog | Champions review, patch notes. Today Riot Games at the support forum revealed some interesting information, and it may be useful for all active players of League of Legends – percentage probability of dropping various items from the chests. 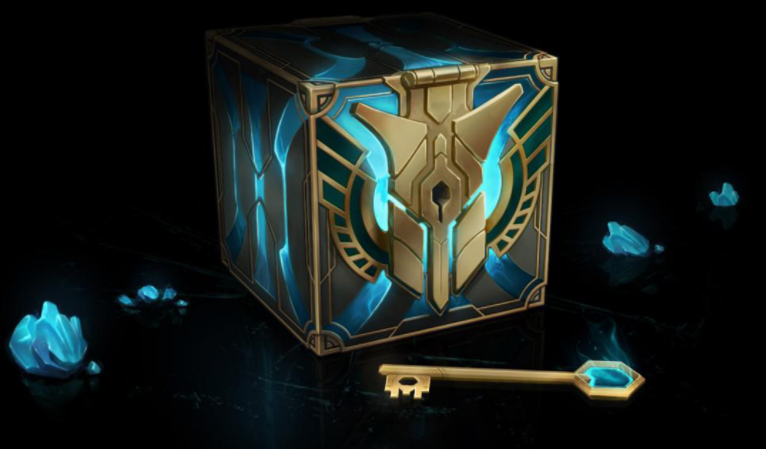 Hextech chests in LoL are obtained for champion points, or they could be bought in the in-game shop. However, to open these chest you need keys, which could be obtained for playing matches. In chests, you could find champion and skin shards, essences. Shards and essence could be transformed into a permanent, and permanent into content. Ward skin shard + 150 of an orange essence – 11.5%. Bonus chest + key – 10%. Champion shards are dropping out starting from 4800BE and higher. 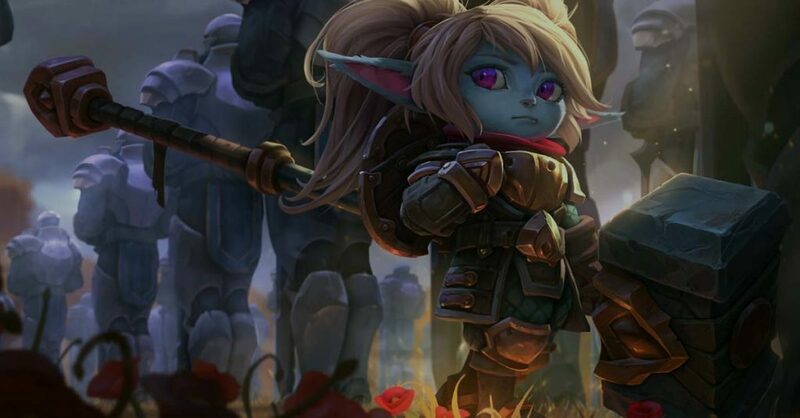 The company Riot Games has introduced a new champion, who will soon join the other heroes of the League of Legends. 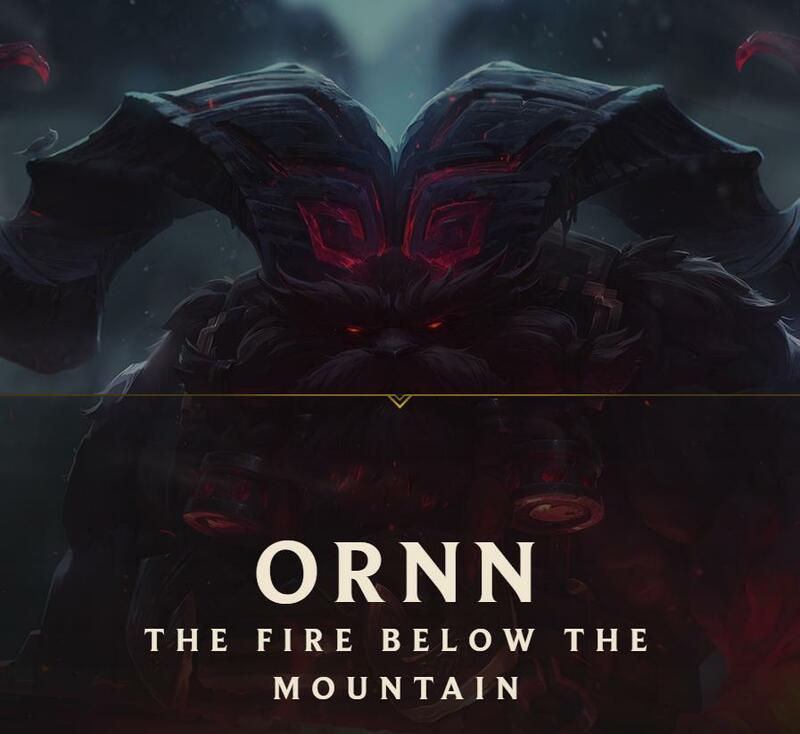 They became Ornn, the Flame of the Mountain Deeps. Ornn is the champion of the top line, possessing a fairly rich arsenal of control. In addition, he can create unique improvement items for the characters of his team. 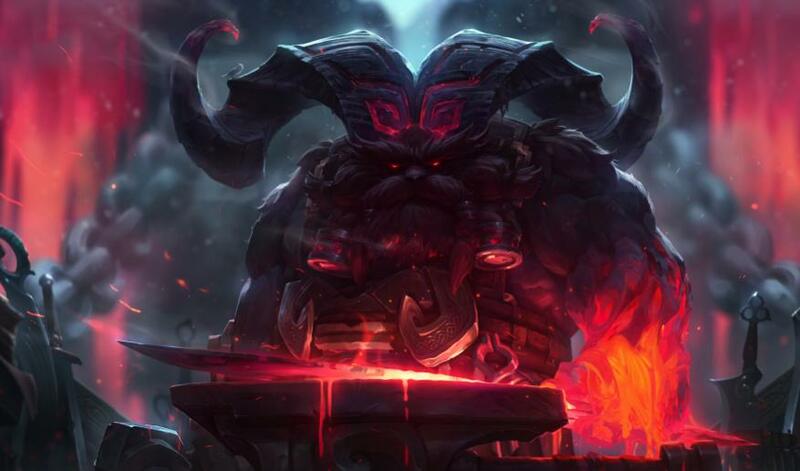 Living Forge: When Ornn does not participate in battles, he can spend gold and create objects for himself. For convenience, the recommended items are displayed in a special menu on the screen. In addition, Ornn can create items directly from the store. Master Craftsman: Ornn and his allies are given access to special improvements to certain items from the store. Each player can only get one improvement. [Q] Volcanic Rupture: Ornn hits the ground, creating a crack in it that deals physical damage to enemies and slows them down. After a short delay in the area a magma pillar rises, which stands a wall for a few seconds. [W] Bellows Breath: Ornn becomes irresistible, shield himself with a shield and spews a flame. The flame inflicts magic damage, the damage of which depends on the current health of the enemy. Enemies, enveloped in the last portion of the flame, become fragile. Ornn’s auto-attacks knock back fragile targets. Having fallen into the effect of immobilizing effects, fragile enemies receive additional damage, the size of which depends on their maximum health. In addition, on fragile enemies, the effects of immobilization last longer. [E] Searing Charge: Ornn makes a dash and deals damage to all enemies on his way. If Ornn encounters an obstacle, a shock wave arises that deals damage and throws up enemies. Ability eliminates obstacles created by players. [R] Call of the Forge God: Ornn summons a huge fire elemental to the selected point, which moves towards him at an increasing speed. Affected by elemental enemies get magic damage and become fragile. Ornn can apply the skill repeatedly to make it leap forward. Faced with the elemental during the breakthrough, he will send it to the other side. On the way back, the elemental deals the same damage as the first time throws all the hit enemies and makes them fragile. Ornn can create items right in the battleground, and that’s why he can stay on the lane as long as possible. Learn all possible item buildes to prepare yourself for each situation. Ornn’s allies can upgrade one item, and that gives unique advantages over the enemy team. Nasus not the only god of the Late game. 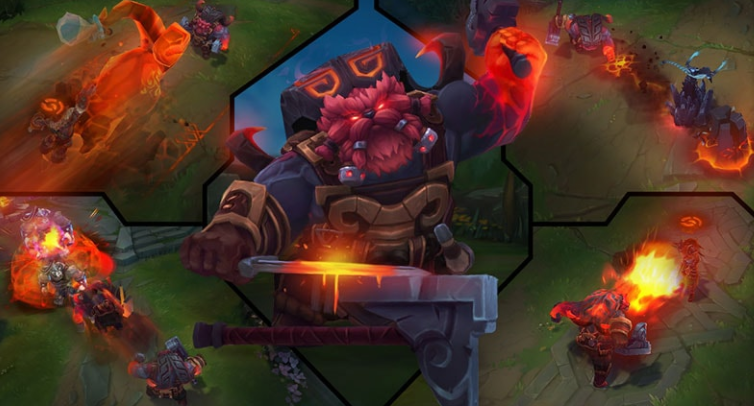 Using Searing charge you need a wall to charge in, so Ornn’s perfect allies – is those allies who can create walls on the battlefield (Trundle, Azir). And such champion like Poppy and Vaine can nail the enemy to the magma pillar. 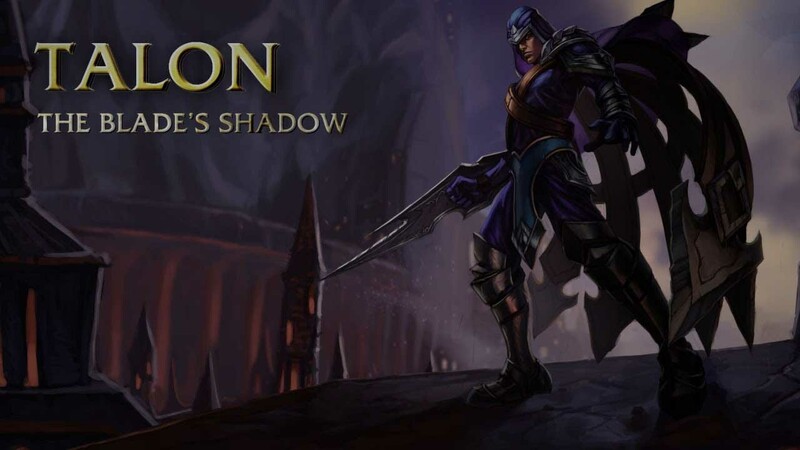 Company Riot Games announced the launch of testing on the PBE server of the League of Legends game of a new PvE-mode, called “Invasion”. Players will have to team up with four friends and take on the role of Star Defenders in order to protect Valoran City Park from the invasion of monsters from the Void. Players have to go through 7 stages of fighting with monsters, and in the end to fight against the big boss. In between battles, you can spend gold and distribute skills, thanks to the experience gained in combat. Survival: Simply destroy all monsters. Opponents may appear in waves, so do not rejoice too soon if you kill the last monster. Escape: Get to the evacuation zone. To win in this task it is enough that only one Defender gets to the point. Defense: Players find themselves in the center of the Starboard Defense shield. Hold the position until you kill all the monsters. If you leave the Power Shield of Star Defenders, you will begin to take damage, which rises with time. Riot released another patch where they balance even more heroes. Today we will look at Half Dragon Shyvana. Armor increase and magic reduce: 5 10 15 20 > 5. New: Shyvana deal 10% more damage to elemental dragons (Older dragon includes). Deleted: Rage effects of dragonborn no more increased in Dragon form. New: Armor and Magic reduce of Shyvana increased by 5 for each elemental dragon that was killed by her team. Deleted:No more fire trail after Shyvana that transform into a dragon. New: Range of burnout is increased with ult progression: 350 365 380. 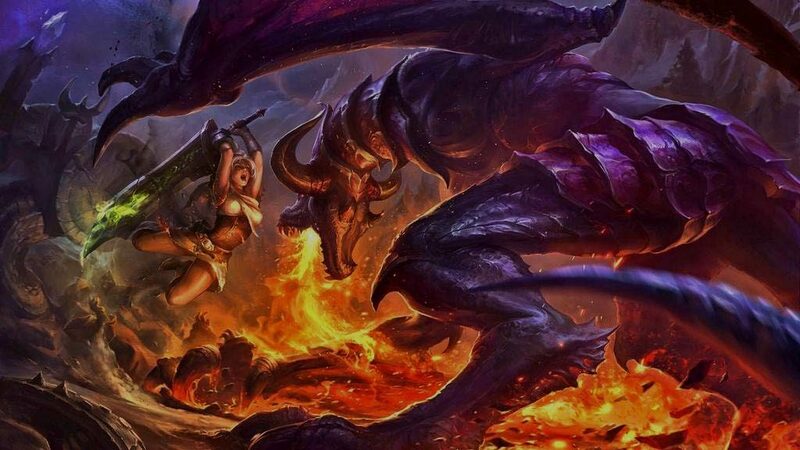 New: While Shyvana is in Dragon form, her flame ball blew up when it hit enemy or reach max range, leaving a scorched earth. New: While Shyvana is in Dragon Form she can use her Fire Breath [E] in any place, that lies in the range of this ability. New: Damage from fire explosion – 100-200+0.3*AP of magic damage in addition to regular damage from Fire Breath [E] to all affected targets. Scorched earth lies at ground for 4 seconds. Radius of Scorched earth is 220 240 260 (promoting with level of Ultimate Ability). Enemies that stays at Scorched Earth are targeted by Fire Breath [E]. New: Shyvana’s now can not be weakened during dash of Dragons landing [R]. Maximum Range of use: 950 > 850. Base damage: 175 300 425 > 150 250 350. New: Additional health points in Dragon Form: 150 250 350. Range of Attack in Dragon Form 175 > 175 190 205. New: Size of Shyvana’s Dragon Form now increased by 8% / 16% at 2 / 3 level of Ultimate ability. Health Potion can be changed with Refillable Potion. And after a few camps you must upgrade your Hunter’s Machete into a Skirmisher’s Sabre – Bloodrazor. All you need next – increasing survability of your champion, so first artifact that i recommend is Dead Man’s Plate, because that artifact perfectly fit into Shyvana’s build. And some defensive artifacts like: Maw of Malmortious, Bansee’s veil, Guardian Angel, Randuin’s Omen. Skills do not consumes mana. Out of Crowd Control Abilities. It is hard to aim with your ultimate to bring maximum advantage. Requires some experience of this champion. Hecarim is a great jungler, that have very good attack at the start of the game. If Hecarim appear in your jungle, then you may be killed easily. Better to retreat immediately. At the early stage of the game Hecarim has a great advantage over you. Main ability of Kha’Zix contains in his fast attacks. if you meet that champion in bushes, then you will be surprised how quickly he can kill you. Use Wards, to predict where he can be at any moment of time. In opposite to Shyvana, Nocturne have a good CC ability, and if he can block one of your skills with Shroud of Darkness, then it will be better think about where you go, after resurrection. In close combat Olaf have a devastating attacks, due to his attacks speed, and ability to slow you down, he can kill Shyvana in a second. If you noticed Olaf from far, then it is better to retreat. With the same HP Olaf will kill Shyvana in the most cases. Fight of Trundle and Shyvana are oftens, and advantage is on the Trundle’s side. His attack is higher and he created to kill lonely targets. 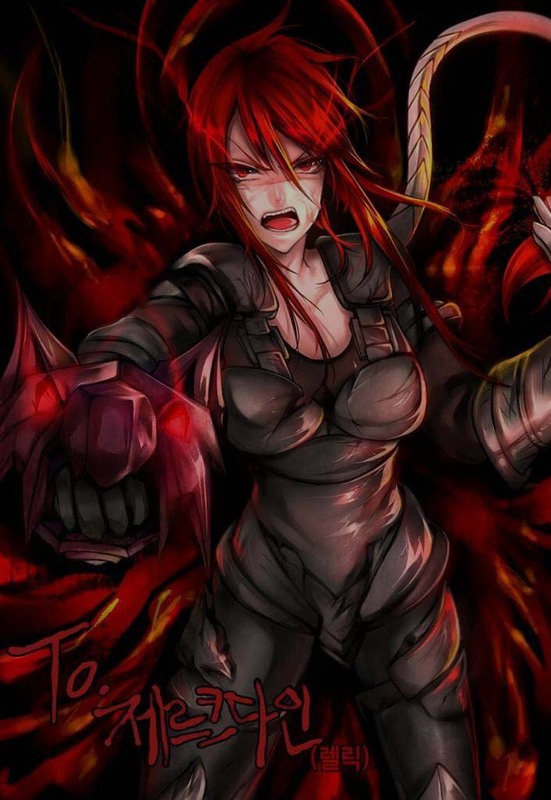 Mid stage of the game – you just can not catch and kill Shyvana, she got defensive artifacts in her pocket and under Burnout she is fast as Sonic the Hedgehog. If you think that somewhere wll be a teamfight, then immediately go there! At the late stage of the game your role will be still the same. Stay a team player, that always stay in the eye of the storm. Always seek for a mistakes that enemies may do, and if you find one, then rush into the formation and bring chaos in their lives. Look that Dragon and Baron were both always warded. Skills of Shyvana are simply enough. You just need a little time to aim properly. But to master this champion you need a ton of games on her. Only practice can bring you to the top on the Shyvana. If you think that Shyvana is a simple and boring champion that can not do anything, then you are terribly wrong. Shyvana is a pick of the experienced players on major tournaments very often, and that can not be a mistake. 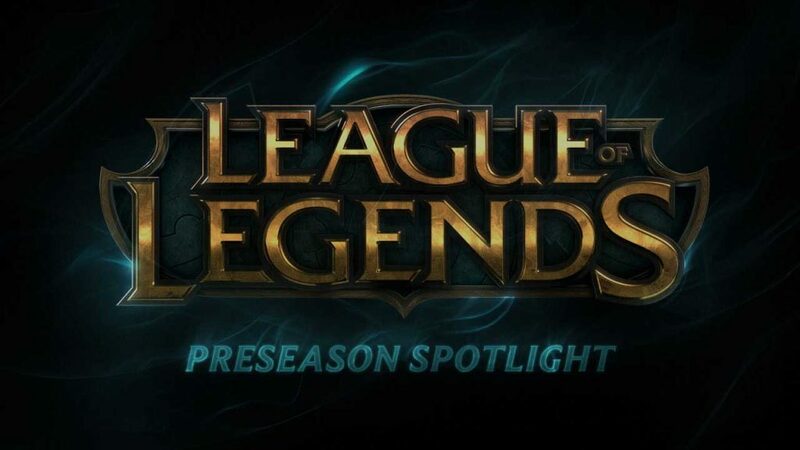 League of Legends – Preseason is here! In this preseason not only Assassins has changed, and today i will tell you about all other important changes of the Summoning Rift. Plants animated forest, and armor penetration, stealth and support items are changed. Let’s begin with interactive plant that we united under shared name – Living Forest. Each of them can appear in random places in Jungle or in the river, and if you destroy them, then you will be granted unique effect. Explosive bumps grow only in forest, when you destroy it, all that stand around bump will be knocked back. Explosive bumps are useful as creative wasy to escape after invasion, as simle jumps over the walls. Seers Flower, grow at the border between jungle and river. If you destroy it, it will release a pollen at the opposite to the attacker side. Pollen reveals invisible champions and totems. Honey Fruit grows only on the river, and scatter around healing fruits. They heal you, and give mana, also they slow down a little bit champion that eat them. Riot decided to remove bonuses for Smiting jungle monsters. These bonuses were very usefull, especialy at the early stage of the game, but they do not encouraged you to make interesting choices. To help junglers that relied on these buffs, Riot changed jungl mosters, and add to Smite an Healing Effect. Also the did some changes in jungle camps, to emphasize their uniqueness. Raptors and Krags population is increased, Gromp now in very obnoxious. You already know about Assassins update, but beside rework of these deadly champions, you also waiting for a change between view of champions and stealth. Invisibility – is a stealth than every body know. If you Invisible, then enemy can not see you, and can not act with you. Disguise – is a alternative version of stealth. With it you are invisible for hidden totems, and enemies, until you get to close to them. Passive ability of Evelynn is a great example of Disguise. And now this ability was gained to some other champions. Vision totems, was replaced by Control Totems. That not only give a view, but also disable enemy totems and traps, helping you to control the right place. Control Totems unveil disguised champions, but do not unveil invisible. Armor penetration has disapeared and now deadliness take his place. It almost the same, but effectivity now changed with the level of opponent. Higher lever – better penetration. In general you deal less damage to enemies that lower than you, and bigger to enemies that has higher lever. Poacher’s Knife – Item for Junglers, after you steal enough big mosters in enemy forest it will tranform into a Serrated Dirk. Some other Assassins items was reworked too. Duskblade of Draktharr now gives deadliness and movement speed outside of combat, old passive effect was removed. New passive effect – Darkness gives you a truesight when enemy totem see you, and Night hunter deald additional pure damage if an attack was made after you stayed in an blind spot of enemy. Developers changed Aegis of the Legion. Now this is not BIS item, now it is situational. For long 8 years this aura rised Magic Armor of friendly units, but nothing is eternal under the moon. Knight’s Oath – Rise defence and allow to assign allies as a partner. While you stay close to a partner you gain Armor and Movement Speed, part of the damage divided between you, but part of damage that deal your partner will heal you. Redemption – increase healing, and shields. It active effect allows you to choose any position on map. After a short delay alies will be healed, and enemies will be damaged. You can use Redempion even after death. Riot saved some serius changes in the Talantes. Strength of the Ages was replaced by Сolossus Courage. When you CC enemy you will gained by shield from Courage. Thats all. Serious changes in Talantes! But now a day league of legend games is having only three modes and crystal scar is removed from this game. There are two teams are needed to this game and each team is consists of five players. In this game play having two different kinds of options either you can play against with your friends or play against the computer. 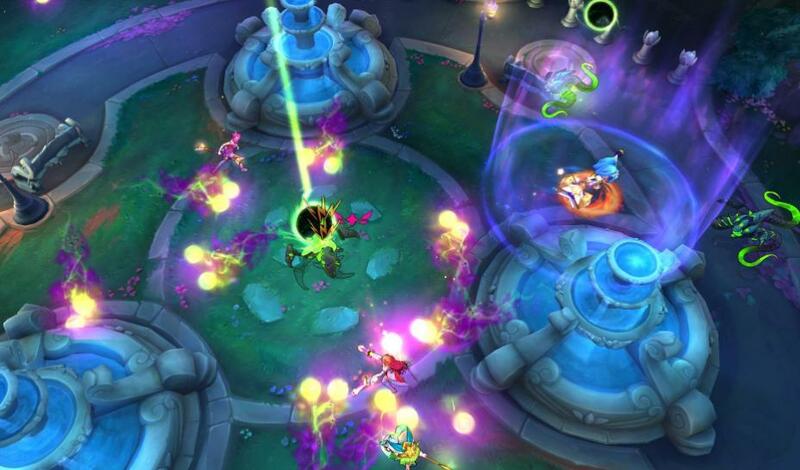 The main goal of this game is obtained the nexus from opponent team which is really important in this game. Typically league of legends consists of three different kinds of maps which are also called as the field of justice. If you are beginner to this game then you should know about game objective of this game. Without strategies it is difficult to win this game so try to gain the strategy to win this game. What are the Gameplay objectives of league of legends game? Just play this game for fun. Try to avoid fight in uphill. Try to gain more amount of gold. Pay more attention in champion select. Don’t forget to the ward. Try to play with your best champion. Choose your CC at level one. If you are following the above tips then surely you can increase your winning possibility and there are three kinds of game objectives are there. As everyone knows each lane is protecting from the more powerful protective structures which is called as the turrets. 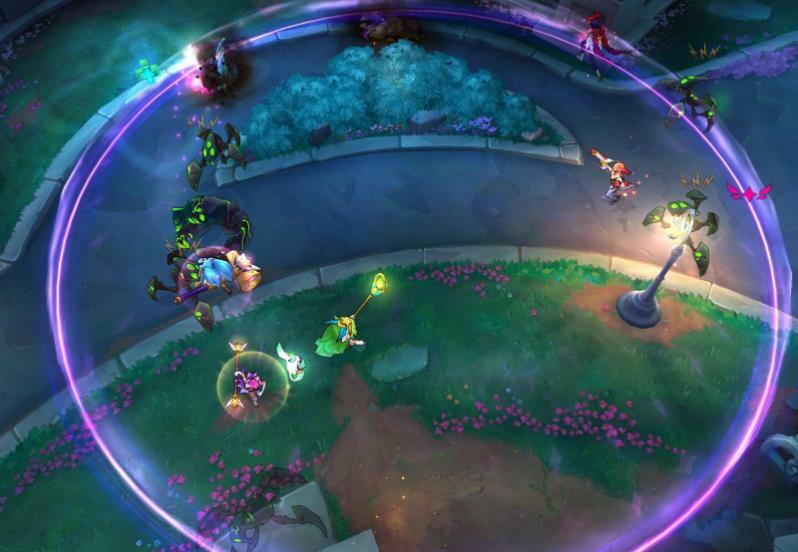 Typically turrets are attacks the enemy team so you can choose the turrets to destroy the nexus. 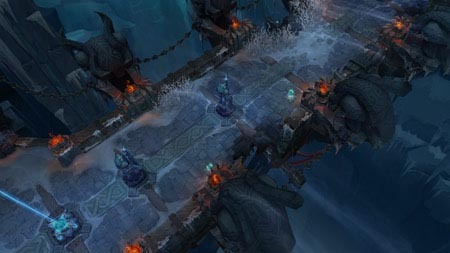 In this game mode each lane is consists of one inhibitor and it might be attacked more than three turrets are destroyed. In case you destroy the inhibitor then it is providing more power to the nexus as well as minions so they are convert it into the super minions. Typically this kind of jungle contains the two altars which are located at the both sides of the lanes. When it comes to the catching the altar then it is quiet easy job because players can catch this altar at short period of time. In these present days people would to spend their free time on playing online and offline games. 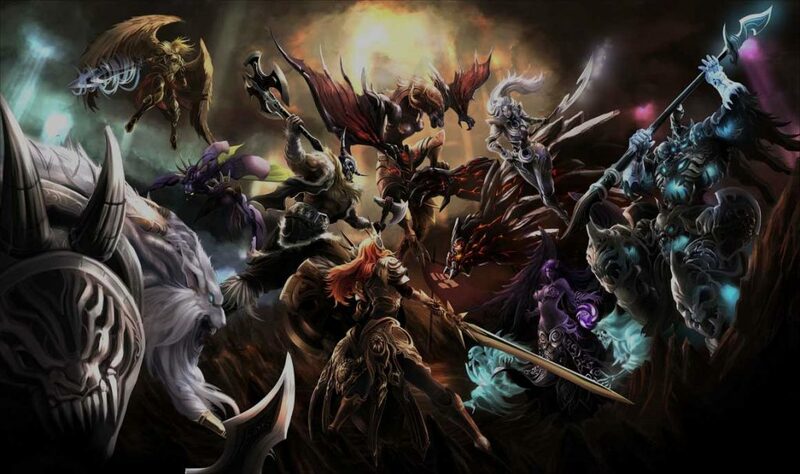 The league of legend is a great online game and it blends the intensity and speed of RPG with RTS elements. This game includes two power teams and each team has different play style and design. These two teams battle head to head at various battle fields as well as different game modes. This game provides endless replay ability for players so they don’t need any worry about skill level. This online multiplayer game is completely free to play but they need an advanced computer to enjoy this battle game. The players need to start this game with low level and every win takes them into next level automatically. The complete focus is essential to make certain victories in the game of league of legends. It is a most familiar in this game and it allows five players of two teams to destroy the enemies. 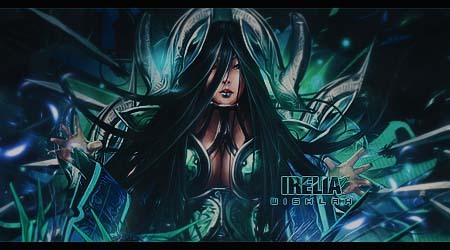 Actually enemy team is simply called as nexus which includes a number of destructive structures. This map features a lot of intermediate objectives that provide a few advantages which help players to win this game. The players can get turrets which can able to attack the nexus players. The turrets can be damaged by enemies but turrets cannot be destroyed by enemies. The rift herald is a brutal and dangerous monster which is a great buff that can be got by player of the killing team. This buff can play for only 20 minutes and it never get back after it has killed by powerful enemies. The baron nashor is also a powerful monster which will stay after 20 minutes and it is a common replacement for rift herald. This monster can be got by player after it is killed by enemies. The dragon is a brutal monster which helps players to kill their enemies and it can be got after it is killed. The players can also able to claim scuttle crab and blue sentinel and red bramble back at this map. It is another important map of league of legends game and it is also same as summoner’s. Here three players of two teams complete to attack and destroy the nexus team. The twisted treeline is also featuring some intermediate objectives that help players to get a lot of advantages. This map is also let players to get turrets which could destroy the enemy’s minions and players. The altars can be a great feature for players and these altars can provide effective combat slats to owning the teams. The vile maw is a big monster which provides a lot of gold as well as combat stat buff. The players can claim back the vile maw five minutes after it is killed. The speed shrine is a great feature that could be earned by players who are playing at twisted treeline. The speed shrine helps to increase the speed and movement of players. 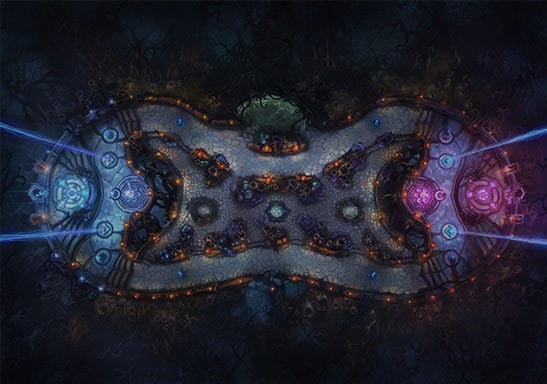 This map is also important for players who love to play league of legends battle game. 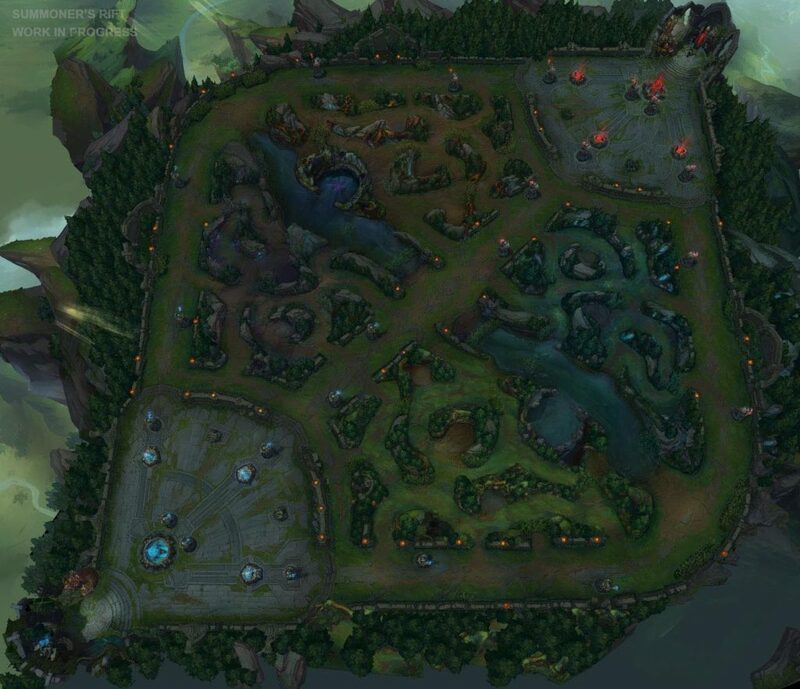 This map is also same as summoner’s rift. In this map five players of two teams fight to destroy and attack the team of nexus. The howling abyss is also now offering some intermediate objects that provide some classic advantages for players to win this battle game. The turrets can be a common feature and it helps players to attack more powerful players without any issues. The health shrines can be an exciting feature because it helps players to get healed from injuries. This map is completely different from other maps because it does not allow player to attack enemies. Here also five players of two teams fight to capture the important strategic points. The players have to hold those strategic points for making more victories. This map contains some intermediate objectives. The common advantages of crystal scar are storm shield, speed shrines and health shrines. The players of league of legends game can able to get many number of game types as well as matchmaking options. The tutorial is a very first game which only provides for each and every new player. The tutorial game is only played on the map of howling abyss and it is for players to learn about basics of this battle game. The co-op vs. AI is another type of game which is also for new players. This game is simply played on twisted treeline, summoner’s rift and also crystal scar. Here players need to battle against artificial intelligence champions. The custom games simply let players to access any type of game with any combination of players. The players can get totally three kinds of matchmaking such as normal matchmaking, ranked match making and team matchmaking. 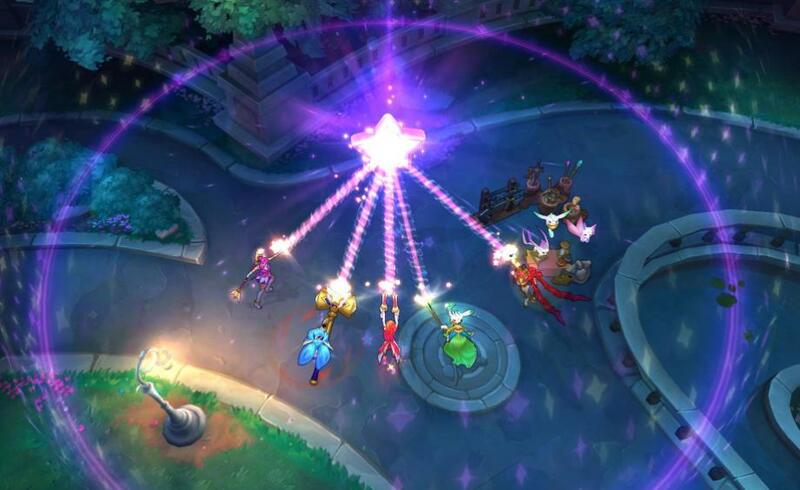 The league of legends is now getting popular due to its different game modes and game maps. Here players can see two game modes such as classic game mode and ARAM game mode. The classic game mode requires players to attack and destroy the enemies and even player have to depend themselves. 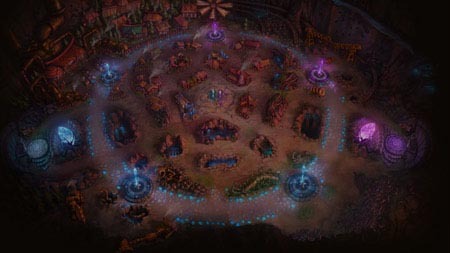 The classic games can be played on summoner’s rift map and even howling abyss and twisted treeline. 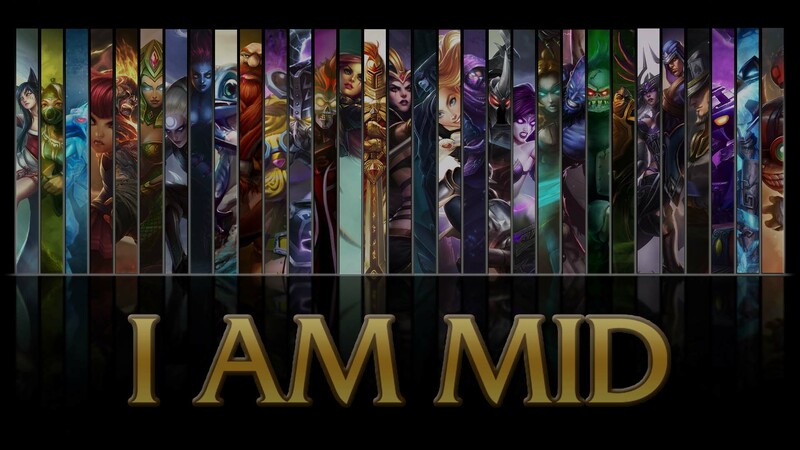 The all random all mid mode is now represented as ARAM mode. This mode can be played on the howling abyss so players should know about those modes. The dominion game mode is also available in the game of league of legends. This mode can be played on crystal scar map. Players that choose one of this roles must understand what he must to do in the game, and make the best performance as he could. Below we will take a closer look at each of this roles, so let’s start! He is one of the most important member of the team, which, in most cases, goes to the bottom line with support. His job is to kill as many minions as he can. He build foundation of his future victories in early game, if he good at last hitting, then he can buy all his core items to start early ganks. Synergy between support and ADC is very importand, because support work as a babysitter to his carry, that is very weak at the start of the game. ADC in early stages of the game must retreat at the first sign of danger. Every death will delay you from buying the core items. After you buy first items you can destroy first towers or help your allies on other lines. Always run between lines and help every one you can. Every kill will add a good chunk of gold in your inventory, that you can use in future. At the late game ADC will become a killing machine. He can destroy an entire enemy team in a second. But do not think that you are unkillable. It is not your work to initiate teamfights, so just stay behind and wait until your team starts a fight. In other words AD Carry is a very strong Champion that could be killed easily. Almost all ADC has a ranged attack, and this compencate his low amount of health. Each of these champions have unique abilities. Some strong in the early stages of the game, other need time to became strong enough. One thing that unite these Champions – Ranged Attack. Certainly artifacts are bought not to your taste, but specifically for each Champion. About what artifacts to take for a particular champion, can be found in varios guides. Usually in the last slot of the inventory AD carry buy one defensive artifact. If you are playing against a balanced team, you can take a Guardian Angel. If the enemy team have mainly physical damage, then Randuin’s Omen is your choice. If you are often the focus of any mage with a powerful ability to control, then it is better to get a Banshee’s Veil and periodically block one enemy skill. If you consistently get a huge amount of control effects (stun, slow, and so on), then it is best to buy Mercurial Scimitar. Berserker’s Greaves – Furor – is the BIS boots for all ADC. ADC use runes that increase phisical damage and armor. Our main choise is the Ferocity. 18 Points we will add into Ferocity, and 12 points in Resolve or Cunning, depends on the Champion. After clarifying what masteries are and understanding the great importance they have for your champion, there comes the next question: how many mastery pages should I build? Are there 2 pages, one for AD, one for AP, enough to fulfill my needs? I would say no and I propose 9 pages of masteries classified by the type of champion you’re playing and its role in the game. Of course, this number is not the standard. 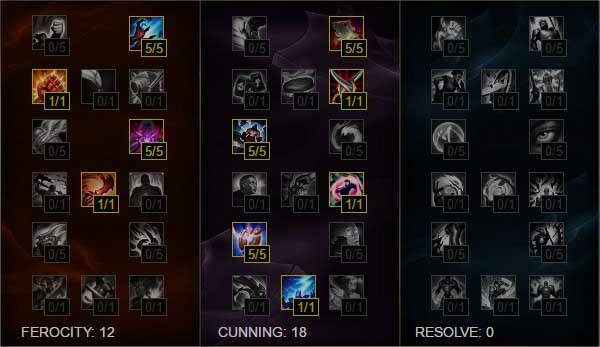 After you get more advanced in the game, you might make your own masteries pages depending on what role you play in the team and on what your champion’s needs. 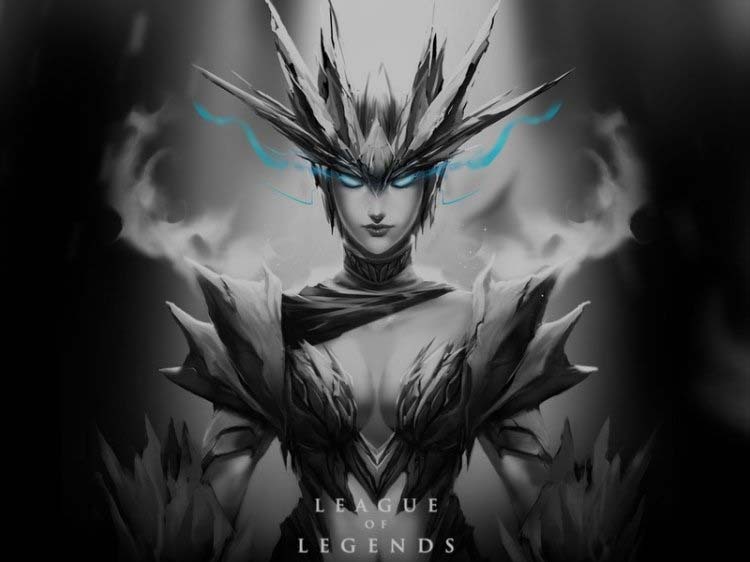 This being said, the 9 pages you’ll need are the following: Standard Marksman Page; two pages for mid lane – AP burst caster, AD Assassins; support masteries – AP supports, Ranged Utility Supports, Tanky Support Masteries; Jungler Masteries – AD jungler and AP jungler; Top Lane Masteries – tank top laners. 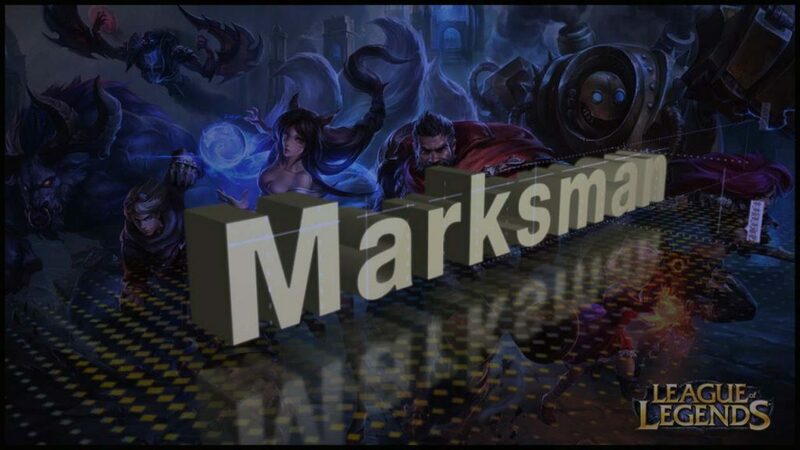 For the standard page for marksman, we’re definitely starting with the Ferocity (offensive) tree first as the main job of an AD carry is to kill as many crits as possible. So, the 30 points would go to, on one hand, Ferocity – 18 points and, on the other hand, Cunning – 12 points as it goes: 5 points in Sorcery, 1 point in Feast, 5 points in Vampirism, 1 point in Bounty Hunter, 5 points in Battering Blows and 1 point in Fervor of Battle. The 12 points in Cunning should be allocated in the following manner: 5 points in Savagery, 1 point in Secret Stash, 5 points in Merciless and 1 point in Dangerous Game. The only exception to this build-up is Graves, who, as a result of its strong synergy with the item Death’s Dance, almost always should get Warlord’s Bloodlust. If you choose to go mid lane, then you would need to choose between AP burst caster or AD Assassins. You should know that the mastery Thunderlord’s Decree is still in the top preferences among the burst casters and assassins, but some sustained damage dealers are choosing Deathfire Touch for the increased damage it assures over time. Mastery Planner for AP is made out of 12 points in Ferocity and 18 in Cunning. The points repartition in Ferocity: 5 points in Sorcery, 1 point in Feast, 5 points in Natural Talent and 1 point in Bounty Hunter. For Cunning: 5 points in Savagery, 1 point in Secret Stash, 5 points in Merciless, 1 point in Dangerous Game, 5 points in Precision and 1 point in Thunderlord’s Decree. Something to pay attention to – for AD mid laners such as Zed or Talon, the mastery page is very similar, except that it is more useful to swap the Secret Stash with the Assassin mastery. So, if your mid champion is an AD Assassin then masteries should look like this: 5 points Sorcery, 1 point Feast, 5 points Vampirism and 1 point Bounty Hunter in Ferocity. For Cunning there goes: 5 points Savagery, 1 point Assassin, 5 points Merciless, 1 points Dangerous Game, 5 points Precision.